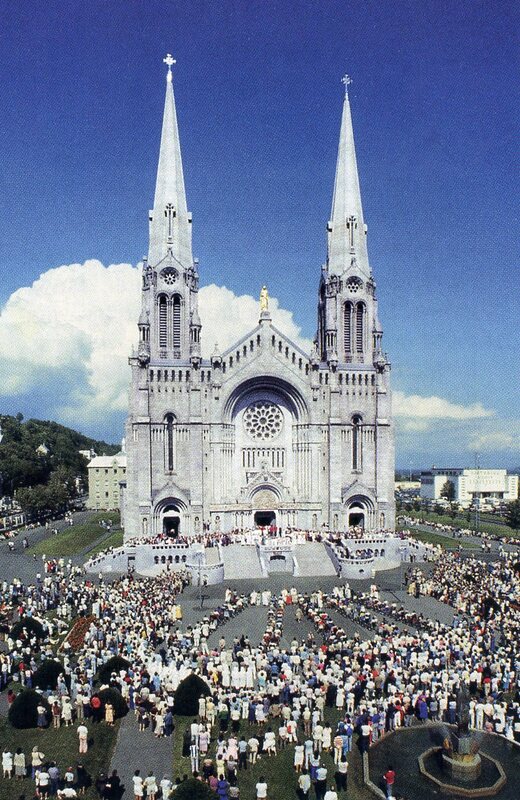 St. John Kanty Church - Buffalo, NY > News > News > PILGRIMAGE TO STE ANNE dE BEAUPRE AND MONTREAL, QUEBEC AUGUST 23-29! PILGRIMAGE TO STE ANNE dE BEAUPRE AND MONTREAL, QUEBEC AUGUST 23-29! A little history on Ste Anne deBeaupre: In 1658, having miraculously survived a storm at sea, three shipwrecked Breton sailors decided to erect a chapel in honor of Ste Anne on the spot where they reached the shore. Several churches have succeeded that first wooden chapel, including the present basilica, rich in souveniers and artistic treasures, and the commemorative chapel, a reproduction of the first stone church. Since its origin, Ste Anne deBeaupre has always attracted large numbers of pilgrims. This tour includes bus transportation, hotel/taxes, baggage handling, four breakfasts and four dinners. Visit: St Anne’s Basilica & Museum, St Joseph’s Oratory, St Joachim Church (the oldest church in Quebec), Marie’s Outdoor Bakery, Three Rivers, a tour of Quebec City. Occupancy and Cost: Single: $915; double: $611 each. A $50 deposit is due with your reservation, and there is a cancellation fee of $30. Reserve your spot now by contacting parishioner Larry Lisiecki: 668-5389. This pilgrimmage should not be missed and is open to all, so please contact a friend (or two!) and call Larry!